- 1040 W. Lee Street, Greensboro, NC. However, upon continual research of Biff-Burger and the National Biff-Burger System, there is creditable information that indicates and/or supports that there are restaurants in the United States that may have been related to the original "Biff-Burger Drive-Ins", franchised from and managed under the National Biff-Burger System (NBBS). Research has also uncovered that there are other hamburger restaurant chains, not related to Biff-Burger, that have buildings and roadsigns which exhibit similar, or believed to be the same, architectural features as used by early former Biff-Burger buildings and roadsigns. Not only was there "architectural" influences but there was also food influences as well. Many other restaurants offered food items similar to the items at Biff-Burger, such as hamburgers with similar sauces. Three such examples, are Beef Burger, Kenney's, and Pal's, and are each discussed below. On-going research and comments from viewers also support that there are other existing restaurants that sill offer menu items that "mimic" burgers from either Biff-Burger and Kenney's due to local popularity and demand! The list of restaurants is provided near the bottom of the page for your patronage. Beef Burger, located in Greensboro, North Carolina, has been CONFIRMED to have formerly been a Biff-Burger. The owner and general manager, Ralph Havis, was concerned about franchise fees and other legal issues back in 1981 when his 10-year contract with Biff-Burger expired and could not be renewed due to the National Biff-Burger System going defunct in 1976. So in 1982, Ralph changed the name of his restaurant to Beef Burger. However, to this day, the Beef Burger is still called Biff-Burger by many locals. Interestingly enough, research has shown that a few other Biff-Burger locations in Burlington and Mebane, North Carolina and the location in Phenix City, Alabama, were also later known as Beef Burger. To date, it is not known if there is any correlation between any of these locations or if the name Beef Burger has signifiance, such as a "spin-off" company of Biff-burger. Another location in Fort Worth, Texas used the name Beef Burger and it is not known if this location "ever" was a Biff-Burger and or related to the other Beef Burgers. Information on the Beef Burger, located in Greensboro, North Carolina, is covered under its own page titled, Beef Burger. 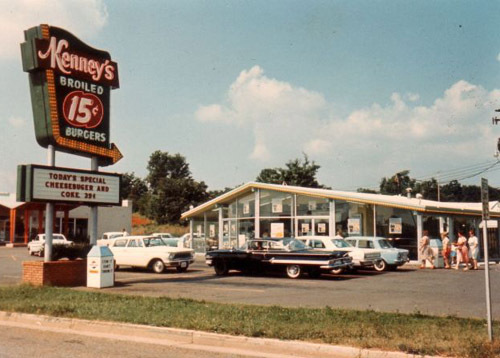 In Virginia, many of the early Kenney's burger locations were originally started as a Biff-Burger Drive-In. William "Bill" Kenney owned his first Biff-Burger in 1958, located at 4317 Williamson Road, in Roanoke, VA and was one of the early Biff-Burger box style buildings. Many of the early Kenney's Drive-In restaurants located in various towns throughout western, southern, and central Virginia portrayed many elements of classic Biff-Burger architecture, both building style and roadsigns. Throughout the remaining late 1950's and early 1960's, Mr. Kenney opened a few additional Biff-Burger Drive-In locations in Virginia as well. While being a franchise owner of those Biff-Burger locations, Mr. Kenney, being the entrepaneuer that he is, founded Kenney's, derived after his last name, and opened additional new drive-in locations under the new Kenney's name. William Kenney also owned several corporations throughout his career and included: Kenney's Drive-In, Kenney's Americana, Ken-Johnson Restaurants, Kenney's Bantam Markets, and Eastern Sales and Equipment Service Corporation. After a few years in the restaurant business, on October 4, 1962, all Roanoke Biff-Burger locations that were owned and francised by William Kenney became known as Kenney Burger Drive-Ins, or simply refered to as "Kenney's", during an advertising ploy in which Mr. Kenney Burger, played by Tim Loughlin, married Miss Biff Burger, played by Barbara Ann Weikle, thus formalizing the name change. (Click here to see the advertisment). Many of the same menu items offered at the former Biff-Burger locations were also offered at the various new Kenney's locations during the early years of Kenney's, including the "Sauce Burgers". The majority of the Kenney's Drive-In locations making up the chain of restaurants closed down sometime during the 1980's. However, three (3) of them, independently owned, still live on and are open today (see list below). Many of the original Kenney buildings and familar "Downward Arrow" style road signs are still around and are used today for various types of businesses. 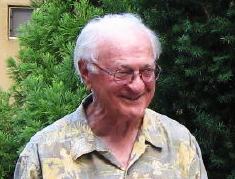 It is with great sadness that the Biff-Burger.com reports that the legendary great William "Bill" Kenney Sr., of Roanoke County, Virginia, died on July 16, 2012 at the age of 91. Bill was a former franchise owner of several Biff-Burger Drive-In locations in Southwest Virginia, and later the founder of his own burger chain, Kenney's Drive-In. He will not only be remembered as a Biff-Burger franchisee and the owner of Kenney's but as a kind generous man that gave everything he could for others through various organizations such as the Habitat for Humanity. According to a 2009 article, Kenney estimated he'd raised more than $100,000 for Habitat by bottling and selling the "famous" meat sauce that made his burgers so famous. Farewell friend.... we will miss you!! Buena Vista, VA 1518 Magnola Ave. (US 501), near E. 15th St.
Former Building: A-Frame Style (Demolished in 2000). Existing Modern Square Style w/ Mansard Roof. Existing Building: A-Frame Style with "Downward Arrow" Roadsign. Harrisonburg, VA 885 E. Market St. (US 33), Corner with Kenmore St.
Lynchburg, VA 2404 Wards Rd., Near Seminole Ave.
Notes: Possibly a Ray's Kingburger location. Martinsville, VA (River Hill Section) 1007 S. Memorial Blvd. (US 220/58), near Douglas Ave.
Salem, VA 1019 W. Main St. (US 11), near N. Butterfly St.
Staunton, VA 2115 West Beverly St. (HWY 254), near Grubert St.
Waynesboro, VA 1220 W. Broad St. (US 250), near N. Poplar Ave.
For more information about William Kenney's restaurant chain "Kenney's Drive-In", visit Patrick "Skyler" Old's "Kenney's Restaurant" website. This website has excellent photos of old Kenney's restaurant buildings (various styles) and roadsigns. Many of these photos exhibit familar "classic" Biff-Burger Drive-In architecture of early "Downward Arrow" roadsigns and both Box Style and A-Frame Style buildings. Additional information on Kenney's can also be viewed under Twig Gravely's website. Twigs site is an extensive compilation of historical information and plethora of photos on various old establishments and places around the Roanoke, Virginia area including Kenney's. The Kenney's portion of his website can be viewed at oldroanoke.online/kenneys/ and a related drive-in site, dedicated to Lendy's can be viewed at lendys.oldroanoke.online. Another former hamburger chain by the name of Ray's Kingburger had buildings and road signs that were of the same design used by many early Kenney's and Biff-Burgers Drive-Ins located within Virginia and North Carolina. (see Architecture). The buildings used architectural features that included an Arrow Shaped Structure (also referred to as an "A-Frame Style" and/or "Boomerang Style"), use of Large Sheet Glass Windows, an Upswept Roof, and Exposed Steel Beams. There were as many as 15 Kingburger locations by 1969, within North Carolina and southern Virginia. Through out the years, a few other drive-in locations were added until the company's final demise in 1980. Below is a listing of known Ray's Kingburger locations. Another restaurant chain that offers hamburgers with an unique special sauce is Pal's Sudden Service, or simply referred to as Pal's. Many viewers state that Pal's original burger, called the Sauceburger, reminds them of once eating a burger at Biff-Burgers. Fred "Pal" Barger became interested in the fast food hamburger industry during his Air Force tenure in Texas in 1952. A few years later, in 1955, Barger met Ray Kroc at a restaurant and food service convention in Chicago, IL, while doing research on restaurant equipment, and also toured the very first McDonald's location in Des Plaines that started Ray Kroc's "Empire". In 1956, Fred "Pal" Barger, founder of Pal's Sudden Service, opened his first restaurant drive-in location on Revere Street in Kingsport, Tennessee with an original menu offering 'Sauceburgers', 'Frenchie Fries', Milk Shakes, and Cokes . Today, the building still operates as Pal's #01 and, eventhough it has been renovated over the years, it still maintains the feel of a "Classic 50's" walk-up hamburger stand. 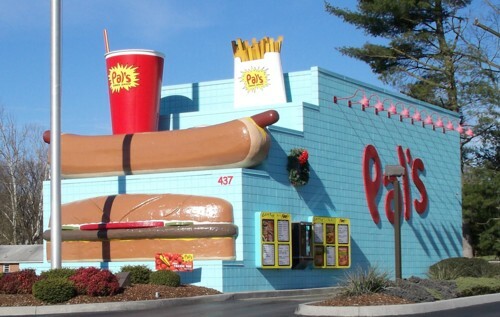 Today, Pal's has 29 locations throughout Tennessee and Southwest Virginia, and is easily recognizable by their unique building architecture consisting of fiberglass replicas of a hamburger, hot dog, "frenchie fries", and a drink on a stair-stepped roof building! Crazy! Like many other hamburger drive-ins during the 1950 and 1960 era, Pal's offered, and continue to offer today, a hamburger with "special sauce" that is ketchup based, mildly spicy, and is noted to taste similar to Biff-Burger's sauce. Pal's #18 Gray, TN 257 Old Gray Station Rd. Another restaurant that offers hamburgers with an unique special sauce is Red Rabbit. Like many other hamburger drive-ins that started during the 1950 and 1960 era, the Red Rabbit offers a hamburger, named the "Bunny Burger" with a unique "special sauce" that is similar to tarter sauce. 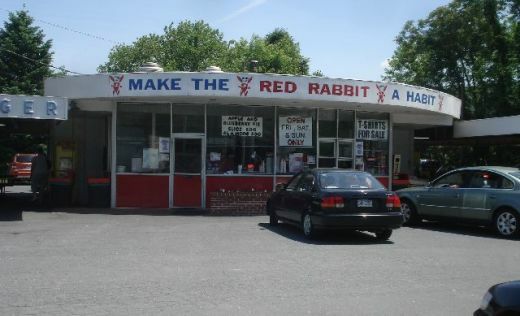 The Red Rabbit Drive-In is an old-fashioned 50's style restaurant located near Dunncannon, Pennsylvania. The restaurant features tasty food in a unique atmosphere offering curb service allowing you to eat in your car, at one of the outdoor picnic tables, or take it with you. Burgers, Fries with "Bunny Dust", Ham & Pork Bar-B-Ques, and Chicken Dinners, Birch Beer, hand spun milkshales and floats are just a few of the items available on the menu and everything is made-to-order. The drive-in is only open on weekends, Friday through Sunday with a short closure period during the Winter months. In 1964, Sam and maggie Snyder, founder of the Red Rabbit Drive-In, opened their restaurant drive-in location along S.R. 322 just north of the Clark's Ferry Bridge near the town of Dunncannon, PA. In 1988, the Snyders retired and the business was placed into the hands of their son-in-law and daughter, Sam & Cindy Berger. Today, the Bergers continue the business as it maintains its original atmosphere of a "Classic 50's" drive-in hamburger stand with the use of car hops on rollerskates. Due to the popularity and demand for burgers dipped with a "Biff-Burger" like sauce and/or the famous "Sauce Burgers" from Kenneys, many local restaurants, in various regions of the country, are now preparing these items. The following list has been compiled from news articles and emails from viewers. * Please note that the following information is posted for your convenience and is way outdated. Please contact interested location for further information prior to patronizing. If you visit any of the locations listed below, please kindly drop us an email indicating whether or not the restaurant is open/closed and if the special Kenney Burger or Biff-Burger-like related menu item is still available. If you know of a place that is not listed, we would also like to hear from you so that we can add it and share it with other viewers! At Intersection of Route 35 and US 11&15 Busn. 4602 Old Cave Spring Road, Near Brambleton Ave.